The XC60 has been Volvo's game changer, the SUV introduced a new design language that transformed the Scandinavian car maker's image across the world. Bland and understated was history and all Volvos went on to become attractive and desirable. It's been a while since the SUV was introduced but the design has hardly aged. However like most models, the SUV has received an update. So what's new? 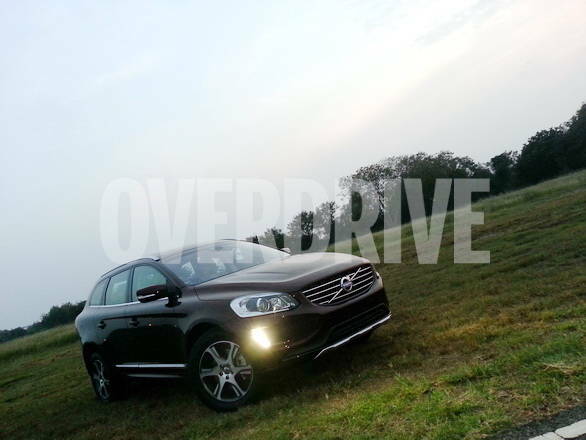 The XC60 despite being an SUV combined a lot of car-like styling, the new model focuses more on that. The contrasting exterior cladding is now gone and is completely body coloured. The headlamps are sleeker and wider since the day time running LEDs now move down to the bumper. Some may like this new styling but we think it loses out on the older model's more rugged look. The alloy wheels are different too. A more elegant theme makes it look premium though and is perfect for city dwellers. There are changes inside too, the most obvious being the new all digital LCD instrument cluster. The system is similar to the one we first saw in the Volvo. There are three modes too - normal, eco and sport that are basically various themes. Each theme gets a different colour and a layout that displays various information. So while eco mode displays a large efficiency gauge, sport mode focuses on a digital tacho. 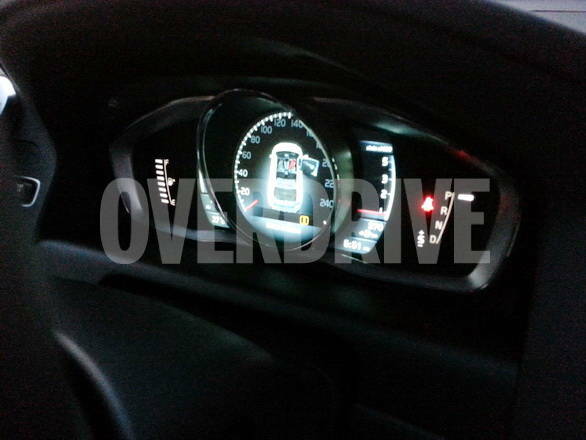 The cool illuminated gear shifter is also borrowed from the V40. The previous version didn't offer paddle shifters but is now standard. New comfort features include an all new touch screen infotainment system as well. 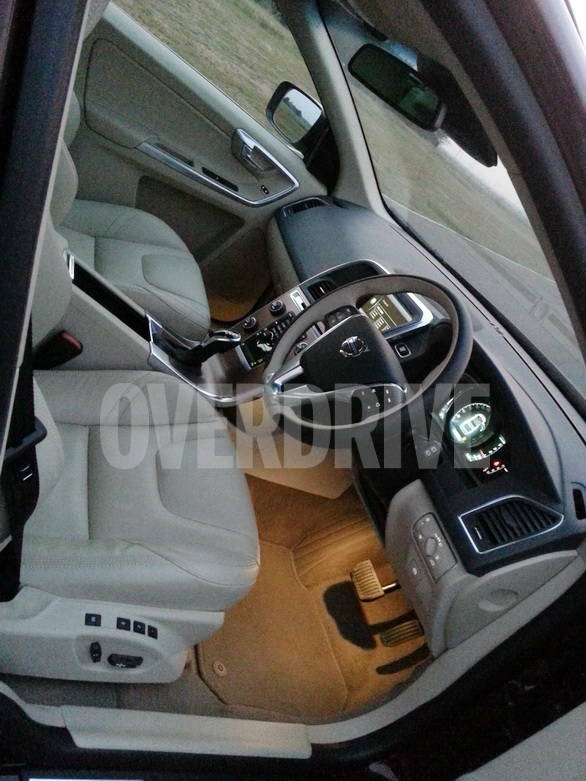 The seats are sportier and offer better support too. Everything else remains the same inside, it's the same clean and elegant interior with use of high quality materials and solid fit. Does the engine get an update? Not really, the D4 and D5 get the same 2.4-litre five-cylinder diesel engine but with slightly more power. The D4 produces 163PS and 420Nm while the D5 puts out 215PS and 440Nm. 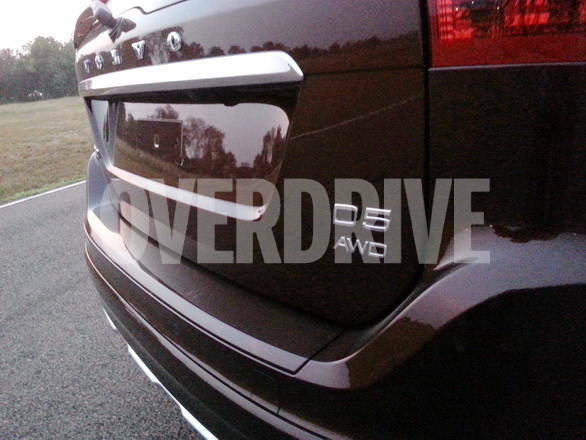 We drove the D5 variant and were quite impressed with the power delivery. 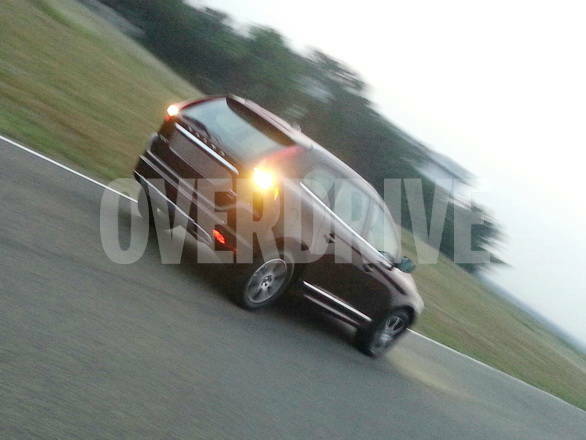 It isn't the quickest SUV in its class but is a respectable performer (0-100kmph comes up in a claimed 8.3s). Ample torque is produced at a lower engine speeds and this helps in effortless cruising. Turbo lag is minimal and driving in town is easy. The engine is also refined and quite silent inside the cabin. Dynamics stays the same which is a good thing because the XC60 is quite capable and offers a good balance between good ride and handling. The SUV is fitted with Pirelli tyres and this adds to the grip. Driving on the race track, body roll is controlled but there is slight under steer. Straight line stability is still remarkable and is the Volvo's highlight. In terms of safety, the XC60 gets a whole list of segment first features like the previous model but in addition gets an updated city safety feature, the function automatically applies the brakes to prevent crashes at speeds up to 50kmph. All the updates have resulted in a price increase but only slightly. The D4 Kinetic variant starts at Rs 40.50 lakh going on to the D5 Summum that's priced at Rs 46.55 lakh, all prices ex-Delhi. This still makes the SUV a good value buy but does this mean we see more Volvo's on the road. Only time will tell.